Dream, Create, Inspire: Surprise Mail! While I was spending time at the cottage the past couple of weeks, my mail was piling up at the post office here at home. I picked it up yesterday and sorted it into piles all over the living room floor. . . advertisements, letters, bills (yuk! ), magazines, etc. And what do I find in the magazine pile? 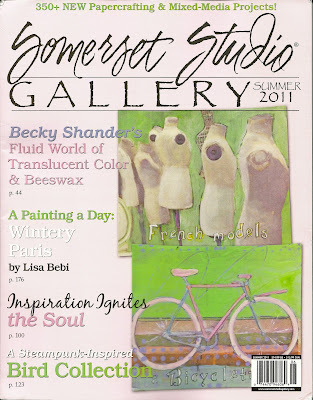 This lovely pastel pink summer issue of Somerset Studio Gallery. The mailing label said it was an "artcomp" issue, which means there is something of mine inside! 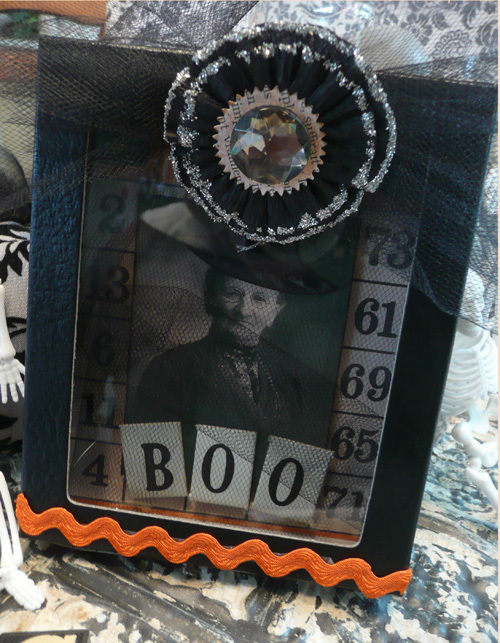 After flipping through the pages, I found this little Halloween assemblage of mine on page 50! Woo-hoo ~ what a nice surprise!!! 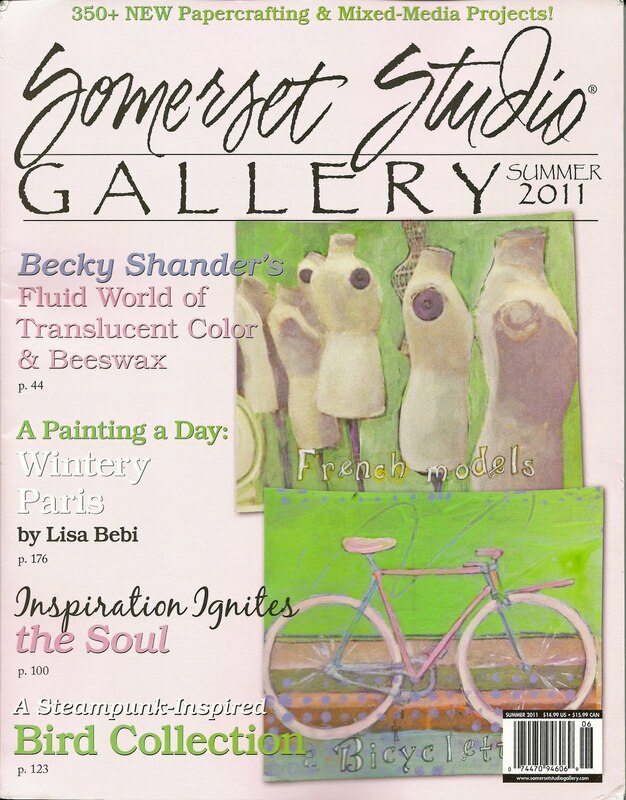 It's always an honor to be featured in Stampington's beautiful magazines along with talented artists like Becky Shander, Karla Nathan, Jeanne Oliver, Ruth Rae, and Linda Harre, whose art is also pictured in this issue. Oh, yes, Jeanne! That is a wonderful piece. I am so tickled for you! You are right up there with the other great artosts. I have been slow getting to Halloween as a "craft option" and now I am hooked. It's fun!!! I can't tell you how much I appreciated your note on my bog. "Great knowledge from hard experience." as my friend, Donna, says. I thank you so much. I only know two people who share the experience and the other is a social worker at the hospital so I really hand on to your words. Thank you!!! Congratulations, Jeanne. How special to see your name and work in print. what a wonderful surprise! congratulations! thats great Jeanne! Now I need to go buy it!! I love seeing things from people I "know" in magazines!! Now, that's what I call mail! The good stuff mail! Congrats! yay! Working on Halloween for this year yet? What a Way To Spend a Tuesday! More Inspiration . . .